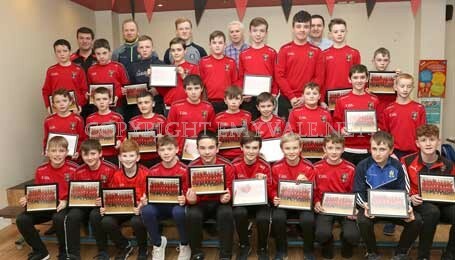 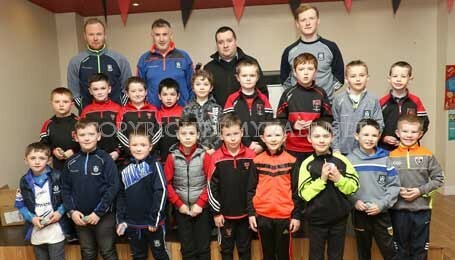 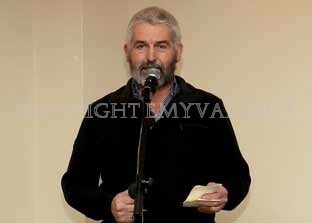 Truagh Juvenile Committee, led by the energetic Mickey Corrigan, held the annual presentation for Juveniles on Sunday evening February 18th. 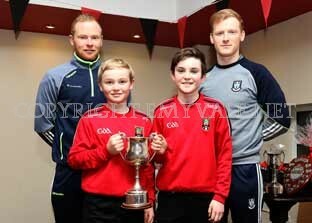 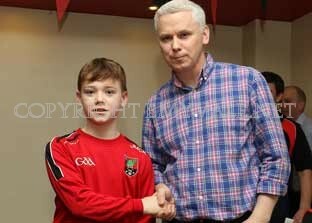 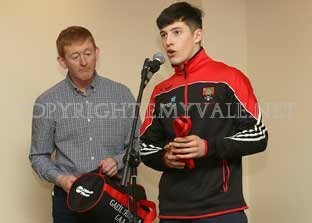 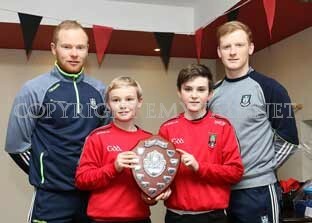 Two Truagh and county players, Paudie McKenna and John McCarron, were present to make the presentations. 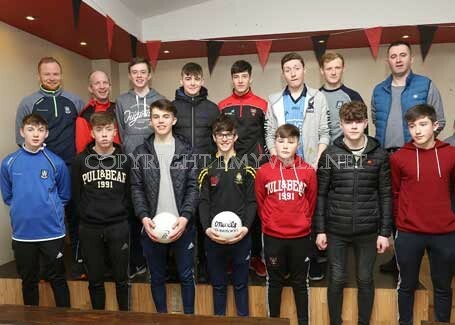 They came back to their club after leaving the County team rejoicing in their victory over Kerry in the National League during the afternoon. 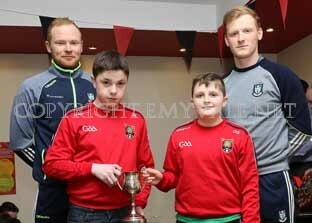 Indeed they are two great examples to hold before the young players of the club and challenge the young players to reach the level of skill and performance needed to get a place on the county team. 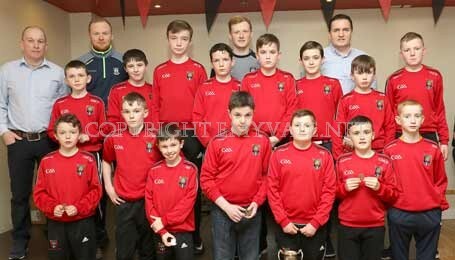 However there are plenty of excellent players at underage level and the success of the various juvenile teams in 2017 is proof of that and they were all applauded for their displays and victories. 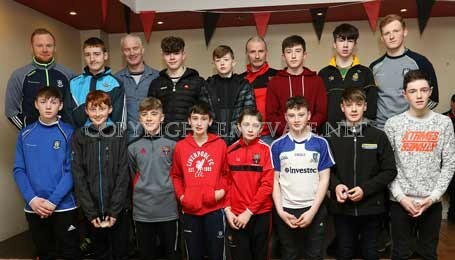 As well there was praise extended to all the coaches for the time, energy and commitment shown by them all ion bringing out the potential of the youth. 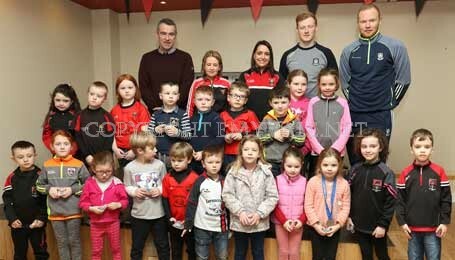 Parents have a huge role to play and they were thanked for their support of the young and encouraged to continue with that support in the coming season. 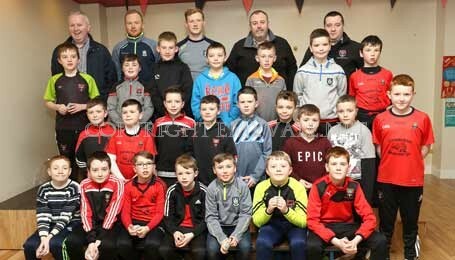 Congratulations to all the winners and indeed to all participants as everyone plays a part in any success.